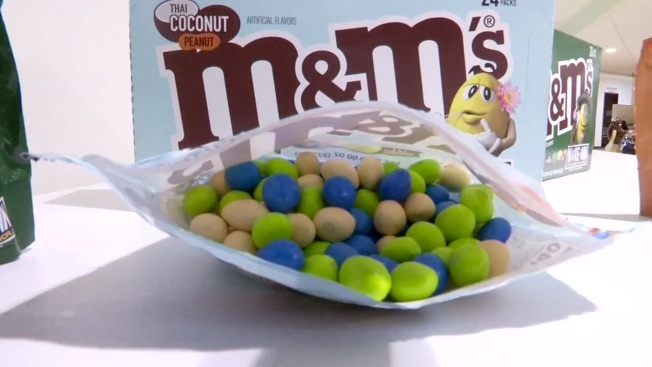 Three new flavors of M&M's are hitting store shelves soon and you have a chance to vote for your favorite, Wednesday, January 30, 2019. The makers of M&M's are at it again. Three new flavors will start appearing on store shelves this week: Mexican Jalapeño Peanut, English Toffee Peanut and Thai Coconut Peanut. Then the hard decisions is left up to YOU! After trying all three new flavors, fans are encouraged to vote for their favorite. You can go to www.flavorvote.mms.com or simply text the word VOTE to 84444. When you vote in the contest, you will be entered to win a trip to the winning country, England, Thailand or Mexico. The flavor that gets the most votes will be sold in stores for an extended period of time.